A major driving force to promote the idea of sustainable bioeconomy could be local experiences, skills and knowledge in respect to the use of local and natural materials (at first, biomaterials). Sustainable bioeconomy is a concept under development, and as such it requires argumentation and demonstration of efficiency. The aim of this chapter is to study the local knowledge of the Baltic region in terms of the applicability of local biomaterials in production. 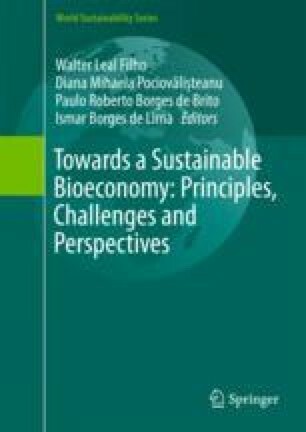 In the context of bioeconomy, there is an evident need to identify the possibilities for the use of natural and local materials as well as the knowledge to manage these resources. Natural materials of the Baltic region, such as hemp, straw, timber, grain processing products (husk), reeds, moss and flax, will be studied in the historical context and in the use for innovations in modern bioeconomy. In addition, such resources as clay, organic lake sediments (sapropel), peat, sludge, ash, coal and biochar will be evaluated as potential source materials for the manufacture of innovative products. Regarding the use of natural resources, different sectors will be analysed, for example, agriculture and construction. The obtained results will give an insight into the knowledge and traditions of the Baltic region concerning the use of natural materials as a key for sustainability.